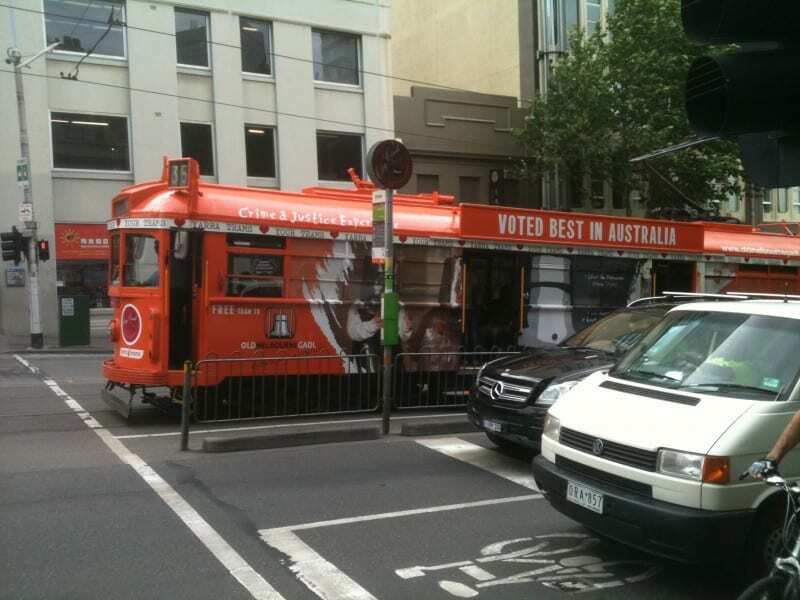 Green Scribble is ecstatic to see our tram wrap design literally circling Melbourne’s CBD. The tram, running on Melbourne’s city circle route, promotes National Trust’s Old Melbourne Gaol on one side and the recently re-launched Polly Woodside on the other. It was great fun working with the National Trust on a job with such great exposure and that promotes two of Melbourne’s iconic sites. The tram wrap is one of several recent design jobs that Green Scribble has worked on for the National Trust. Others include promotional material for the Teddy Bears Picnic at Rippon Lea, programs for Old Melbourne Gaol and visitor brochures for Polly Woodside.